FULL SERVICE. ANYWHERE IN THE UK. 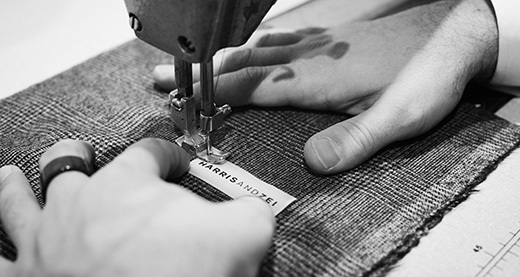 At Harris and Zei, we’re delighted to offer a full tailoring service, wherever you are in the UK. Although our studio is in central London, we can travel to almost any location in the UK, whether that’s your home, office or a hotel in your area. During the appointment, we can discuss fabric swatches and take measurements, gather all the details we need to start making your suit straight away.